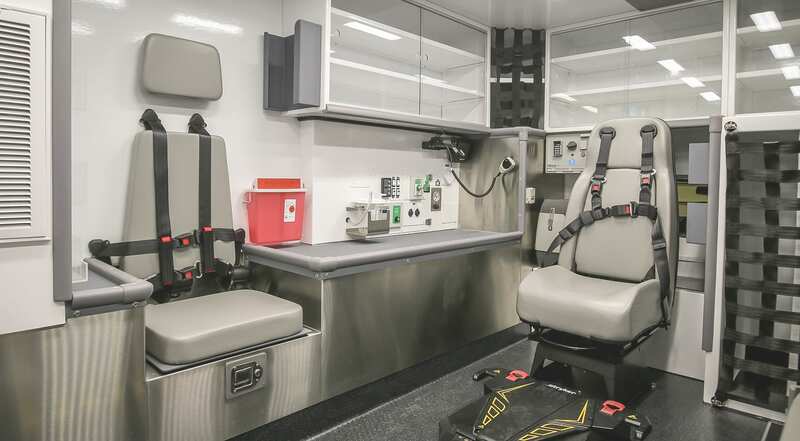 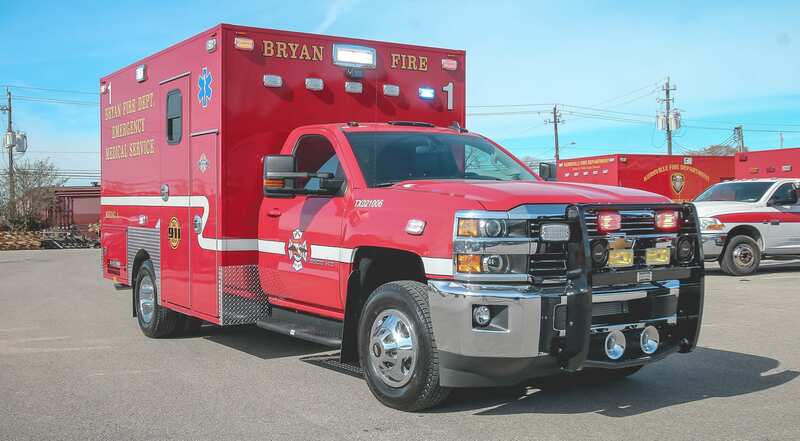 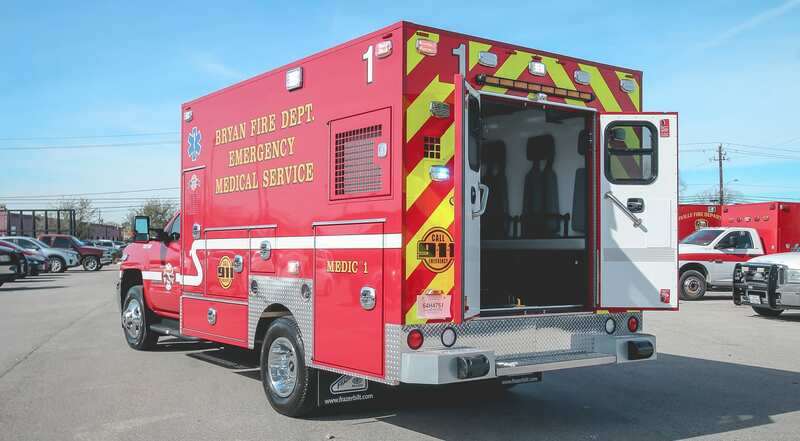 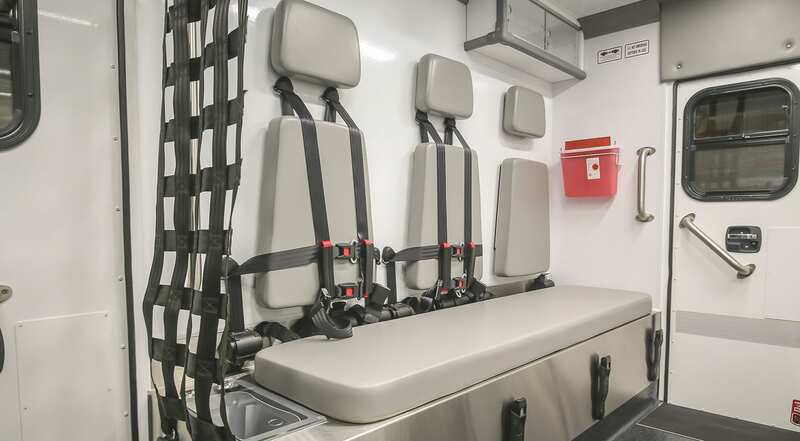 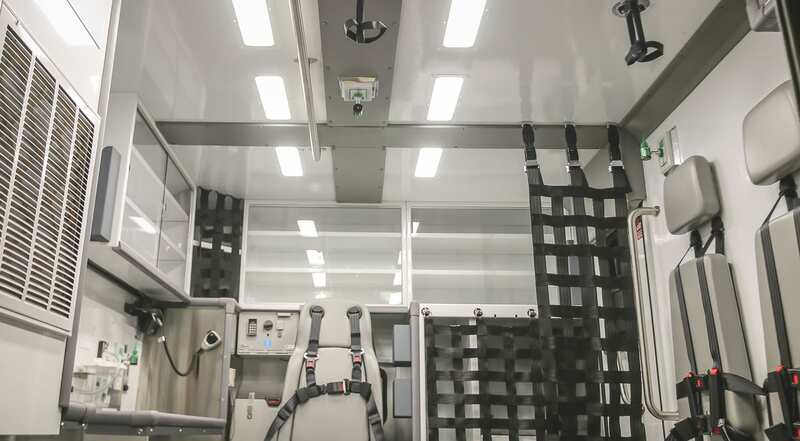 Customer Delivery - Bryan Fire Department - Frazer, Ltd.
Take a virtual tour of the latest custom Bryan Fire Department unit. 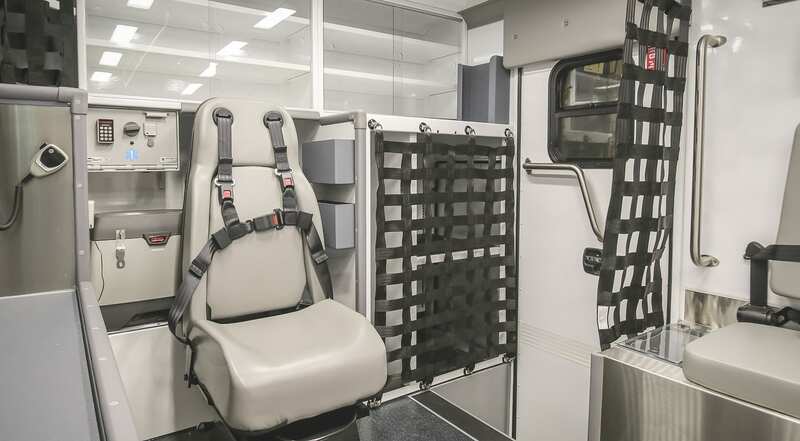 This custom Type I 12 ft. EMS vehicle is mounted onto a Chevrolet 3500 gasoline chassis and features a Liquid Spring™ suspension system. 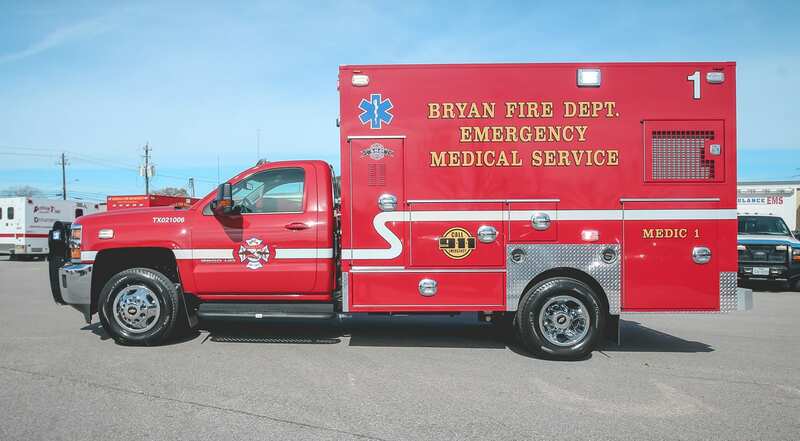 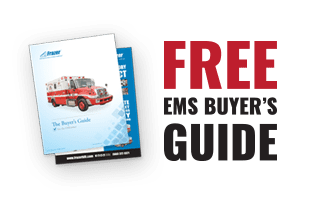 Visit Bryan Fire Department’s website for more info on their service. 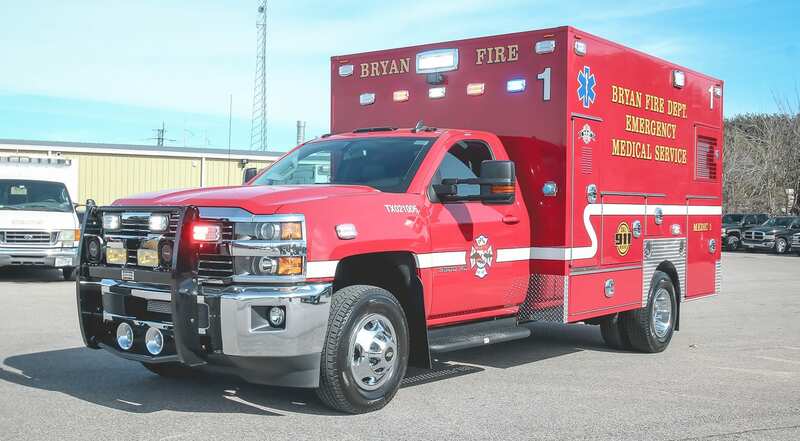 Bryan is a city noted for its warmth and hospitality. 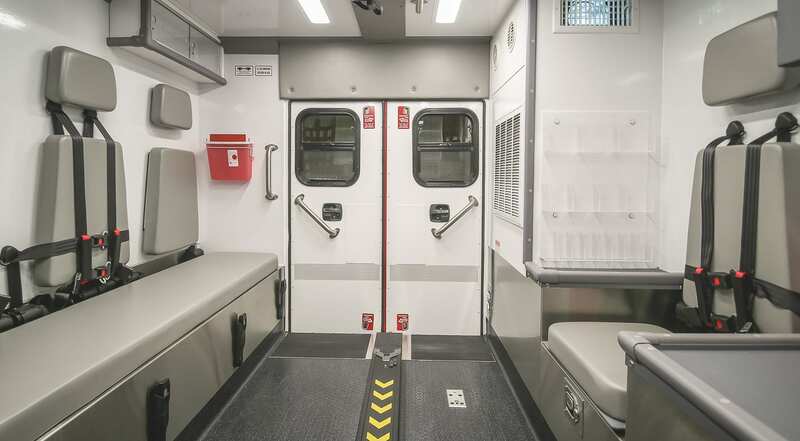 It covers an area of 43.4 square miles and has a population of approximately 80,000. 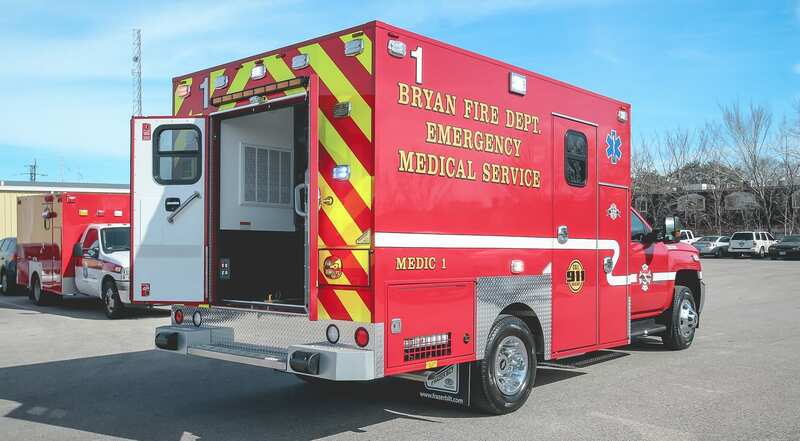 Situated in the center of the “Texas Triangle” formed by Houston, Dallas/Fort Worth and Austin/San Antonio, over 80% of the state’s population is within three hours drive from Bryan.